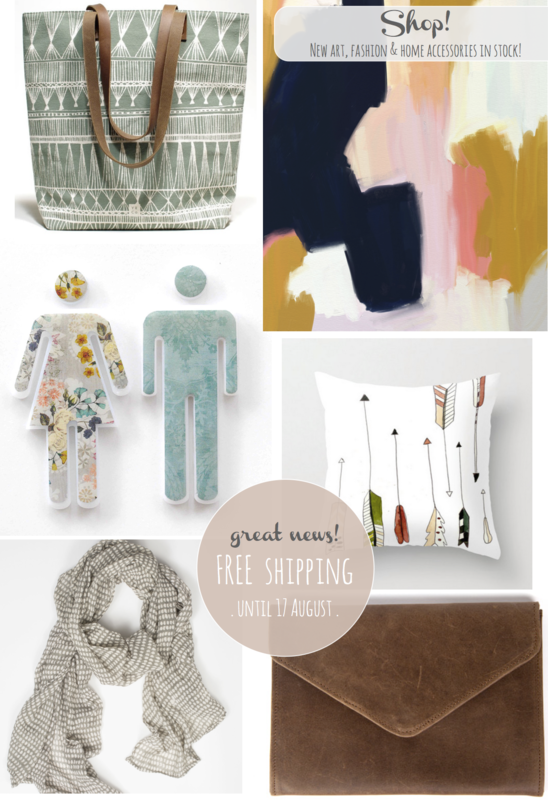 Shop News: New Items + FREE Shipping! You will find lovely new items in the fashion part of the shop, including a gorgeous canvas everyday bag in the most gorgeous sea foam coliour, a printed scarf and leather clutch. In the home accessories department, you can purchase a super cute sign for your bathroom door, and if affordable art is what you’re after, this Patricia Vargas print might just hit the spot. Happy browsing the shop and enjoy a week of free international shipping on any product!